Particularly during the holiday season, the virtue of generosity is frequently and casually invoked. But how do we actually practice true giving and true receiving? 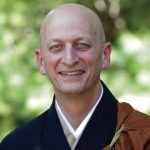 Shugen Roshi describes giving in harmony with receiving, not looking for something in return – a generosity which is deeply authentic even when only great effort can bring it forth.